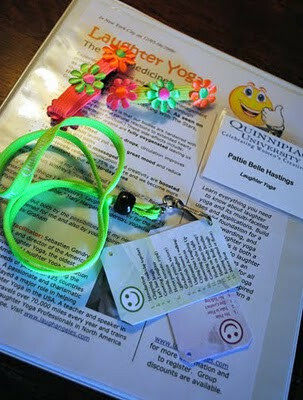 Last December I became a certified Laughter Yoga Leader. It was through a wonderful training taught by Sebastien Gendry of the American School of Laughter Yoga. I am a longtime student of the various forms of Hatha Yoga (Forrest, Bikram, Kripalu, Flow, etc.) and prefer to be a student. You see, I have this Professor role that I play in my professional life and it is quite a demanding part. Yoga class is the chance for me to be the student, to pay close attention and to follow instruction. It is my turn to be told what to do and how to do it. So, choosing to take the training and lead laughter sessions was not an easy decision. It is done and now I have led a few laughter groups. The results have been wildly positive. While we were in Norway last year on sabbatical, I had what felt like a radical re-envisioning of my personal mission. My own creative production has been deeply gratifying to me throughout my life. It no longer feels like enough. It is no longer enough to be creative and joyful simply for my own pleasure. I need to stretch beyond somehow. Over time I have settled on the mission to share and spread creativity and joy to as many people as possible. This is an easy thing to accomplish with Laughter Yoga. It is a trickier thing to do with my University students. I have to help them prepare for high level professional work in addition to finding their source of creativity and joy – a much trickier proposition. I have been trying (with varying levels of success) to figure out how to make it more creative and joyful (without sacrificing the rigor). This is a challenge that I relish. I’m sure they’ll let me know how well I perform. Back to the Laughter Yoga. I’d like to start a Laughter Club, but my schedule has prevented me from pursuing a location and committing to a day and time. For now I will schedule special Laughter sessions when able and on special request.